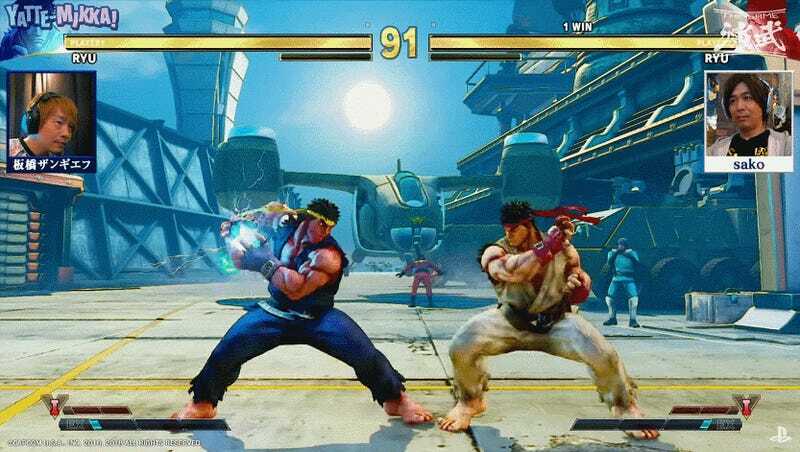 PlayStation Japan recently invited two high-level fighting game competitors to showcase a special Ryu-on-Ryu mirror match in Street Fighter V. But this wasn’t a normal exhibition. Instead of playing out the kind of fight you would see at the Evolution Championship Series, the Japanese maestros demonstrated their knowledge of the game by performing a special, choreographed routine that ended in a double KO. Hiromiki “Itabashi Zangief” Kumada and Naoto Sako have both played fighting games competitively for decades, with a staggering amount of combined experience not only in Street Fighter but the genre as a whole. Even so, it took them a few tries to perfectly pull of the drill they had planned together. First, it was a matter of Sako dropping his fireball inputs (surprising for the notoriously technical player), and then Itabashi Zangief messed up the routine by blocking at the wrong time. By the fifth try, however, the skilled duo finally performed the dance flawlessly, providing a ridiculous look at the kind of skill that can be displayed within Street Fighter V with enough study and patience. Fighting game players have long toyed with the mechanics of their favorite games to create works of art. 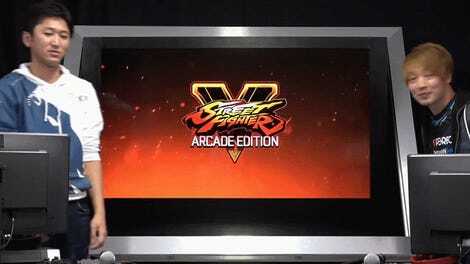 Back in 2004, four players—a group that included community veterans James Chen and Joey “Mr. Wizard” Cuellar of Evo fame—combined their knowledge of games like Marvel vs. Capcom 2 and Capcom vs. SNK 2 to create “Ode to the 2-Hit Combo,” which as the name suggests focuses entirely on short combos that end after just two hits. Combo video collective COMBONAUTS has released exhibitions over the last few years that feature no damage at all despite characters from Super Street Fighter IV and King of Fighters XIV flying around the screen amid various attacks and fireballs. It isn’t exactly the same as the videos linked above, but Itabashi Zangief and Sako’s beautifully choreographed Street Fighter V routine is the latest in a long line of impressive fighting game performances from decades past. They transcended the bounds of pure competition to provide an entirely new way of looking at the genre, following in the footsteps of combo video creators who have long studied these games on a microscopic level to entertain their fellow players. While tournaments will always be the main focus of the fighting game community, videos like these are a great reminder that even the most battle-scarred competitors are fans at heart.